Born and raised in Ottawa, Rob earned a Bachelor of Commerce at Carleton University before completing his Post-Graduate Certificate in Real Property Valuation with the University of British Columbia. He went on to achieve his AACI, P.App designation in 2013. As a partner in the company Rob has been completing narrative appraisal reports since 2005 on a wide variety of property types, while focusing mainly on agricultural properties. His clients are diverse, including lending institutions, lawyers, as well as federal and provincial government departments. Rob is married with two children and enjoys skiing in the winter and summers on the lake with family. Don is a partner in the company and has been an AACI P.App. designated appraiser since September 2008. 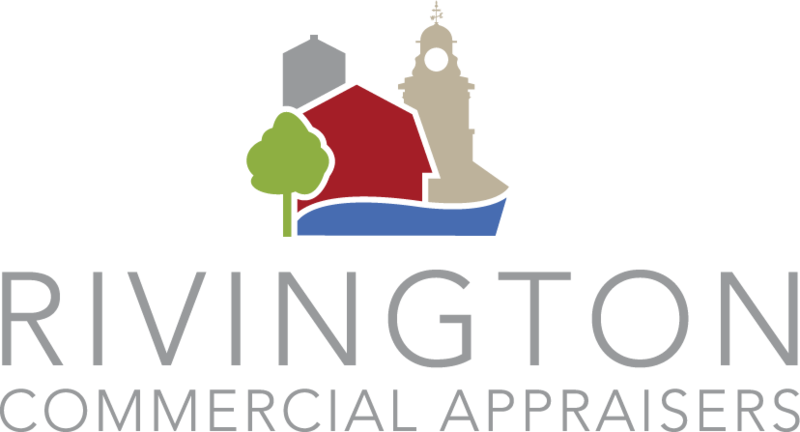 He has been with Rivington Appraisers since 2005 and has over the years developed the knowledge and expertise to take on some of Rivington’s most complex and difficult assignments. Don’s specialties include the appraisals of subdivisions and development lands as well as hospitality properties. His clients include many government departments from federal and provincial to local municipalities. When he’s not researching the most recent sales data, Don enjoys skiing in the winter and cottaging in the summer with his wife Steph and two active kids, Jilliane and Thomas. Patrick began his career in 2007 as a candidate member in his hometown of Kingston, gaining experience and knowledge while performing residential appraisals. In 2010, he joined the Rivington & Associates Commercial Division to expand his expertise while working towards his AACI designation from the Appraisal Institute of Canada. Since then he has prepared full narrative reports on a wide range of properties including agriculture, industrial, commercial, recreational and multi-tenant properties. Through his work at Rivington, Patrick has traveled extensively throughout Eastern Ontario and has developed a new appreciation for the small communities in our region. Born and raised on an equestrian farm outside of Ottawa, James graduated from Carleton University in 2013 with a Bachelor of Arts in Economics and has since been working towards his AACI designation at the University of British Columbia. James has been completing narrative appraisal reports since 2014 on a wide variety of property types. Josie graduated from the University of Guelph with a Bachelor of Commerce in Food and Agriculture Business. She has a strong background in agriculture, having grown up just outside of Arnprior on a family operated dairy and cash crop farm. Josie is currently a candidate member of the AIC, having completed courses in Foundations of Real Estate Appraisal, Urban and Real Estate Economics and Real Estate Investment Analysis and Advanced Income Appraisal. Her specializations include agricultural properties; specifically, dairy, hobby and cash crop farms and grain elevators. Teri joined the Rivington team in 2015 after earning a diploma in Executive Business Administration from Willis College. With 9 years experience in customer service, sales and management, Teri is a professional and skilled Administrative Assistant. In her spare time, she enjoys movies, reading and spending time with family and friends, including her pet pug, Trinket. Born and raised in England, Joanne has been a valued member of the Rivington team since 2007. Her many roles include managing the office, reception and finances as well as working directly with clients. In her spare time Joanne enjoys horseback riding in the countryside outside of Perth. Stephanie is Rivington Commercial Appraisers on-staff Reserve Fund Planner. She has extensive experience in the building supply industry, including administration, costing and project management. Stephanie achieved her CRP (Certified Reserve Planner) designation in 2015, and had been active in completing Reserve Fund Studies for a number of years prior. She continues to keep up to date with proposed changes in the Condominium Act, and is prepared to offer this expertise to her clients.